Long before the internet, Winnipeg had great social media. 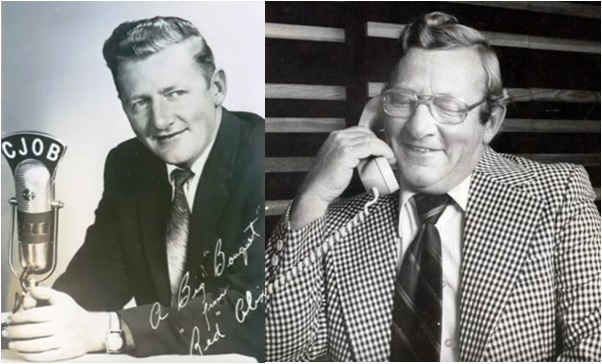 A radio program called Beefs and Bouquets ruled every morning with Red Alix on CJOB. Winnipeg didn’t need Facebook or Twitter. Long before the Internet, it had Beefs and Bouquets every morning from 7:45 to 8:00 a.m. Morning host Red Alix would open the phone lines and invite Winnipeg to call in with a beef or bouquet about someone or something in the community. Calls typically lasted 10-20 seconds and were surprisingly balanced between praise and complaint. Recipients included governments, institutions, businesses, communities, sports teams and even individuals. Sixty percent of adults in Winnipeg listened to this social media every weekday morning. It was a very quick way to find out what was on people’s minds, good or bad. Politicians listened, sometimes with trepidation. And while the program only lasted fifteen minutes, calls were a topic of conversation through the city all day. Beefs and Bouquets was high energy programming. At the time, we had three rotating phone lines available for audience call-in. To give everyone a fair chance, we would block these lines until just a few minutes before the show. Once open, they filled fast. Red handled all the calls himself. With the show on a 10 second delay, he had time to block malicious calls, but these were not that common. Mostly, people just wanted to “tweet” something to their community. And most of the calls weren’t that much longer than a “tweet”, either. Red was a really nice guy. He kept his cool, no matter what. And he had a plainspoken way of taking to people that was very appreciated. Listen here for to recording of Beefs and Bouquets. One of Red’s nemesis was Bertha Rand, Winnipeg’s infamous “cat lady.” She called often, or at least she tried. You can hear Red cutting her off at around 1:30 into the video clip. Red was the morning host on CJOB from 1955 until he retired in 1991. He passed away in 2010.